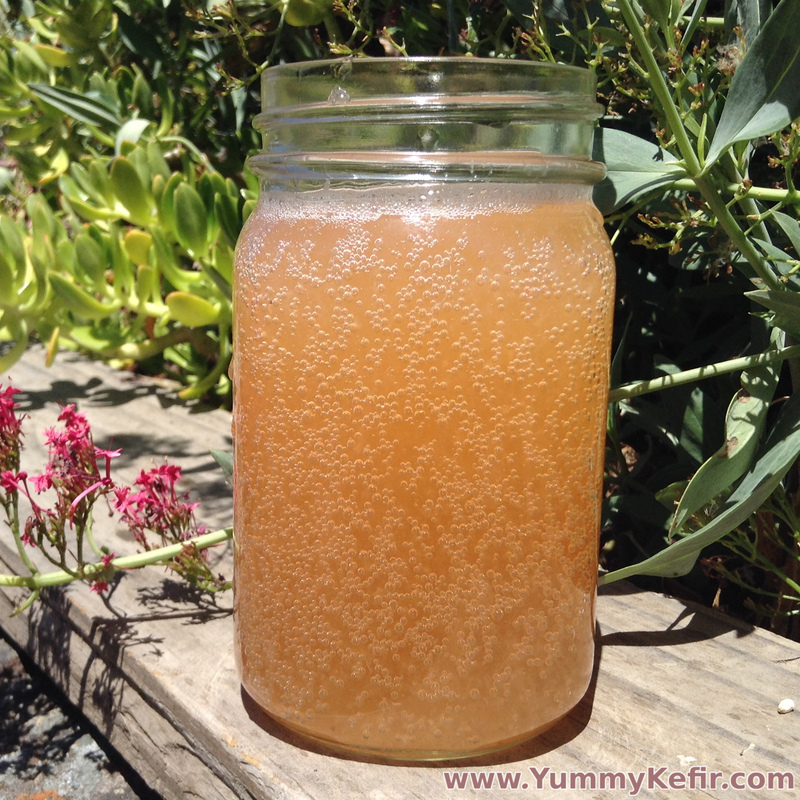 Fresh, ripe Santa Rosa plums and a touch of honey liven up this yummy water kefir soda. Pit two ripe plums and blend them with some honey then put everything into some finished water kefir. Don’t forget the honey, these plums are pretty tart and the honey really helps to mellow them out. Blend the plums until smooth then strain any large pieces through a strainer. Mix in the honey and water kefir.